Just a very brief update to let you know that the K1's boiler lift was completed without any significant problems on Wednesday. After setting up, the lift commenced at 11:00 and the job was completed and the crane ready to leave the depot by 13:00. At the Special General Meeting on Friday night, 44 members were present, thereby more than constituting the necessary quorum, and the motion "to approve expenditure of up to £75,000, including contingencies, on extending the K1's mainline certification for a further 3 years", was approved by a large majority. The regular Monday and Thursday working parties continue at Hopetown on the J72. The Thursday working parties are now usually during the day only. Working parties take place on Wednesdays and Saturdays on the Q6 at Grosmont. Please contact Andy Lowes or Ian Pearson if you wish to attend. Hopetown Works is usually open for the public to visit between 11:00 and 15:00 on the third Saturday of each month. Please check the What's on menu item for details. 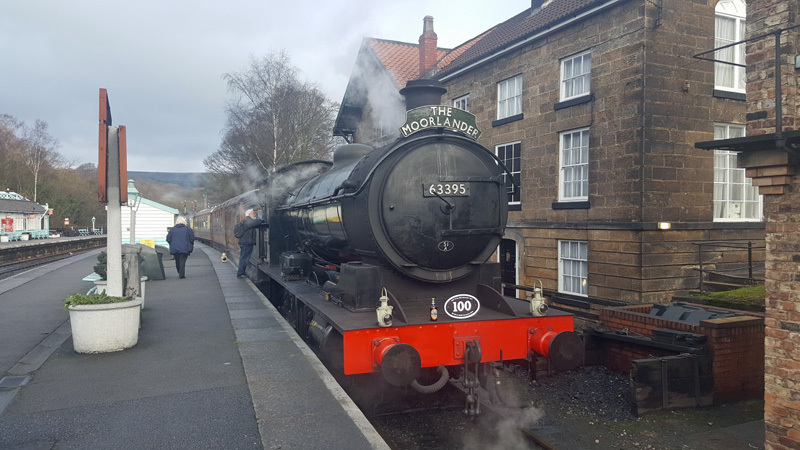 Whilst a full train of NELPG members and guests were eating their starters, Vice President Maurice Burns took this set of photographs of the train at Goathland. These take place at 19:30, usually on the second Friday of the month between September and May. Meetings now take place in Darlington Club and Institute in Northgate; see the What's on menu item for details. 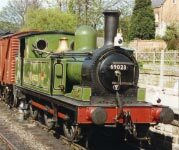 The NELPG exists to foster interest in, and to preserve examples of, steam locomotives, rolling stock and other items of railway interest connected with the North East of England. At WCRC Carnforth for winter maintenance. At Hopetown Works for general overhaul. 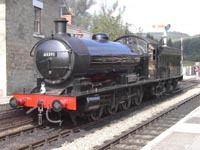 North Eastern Locomotive Preservation Group is a company limited by guarantee registered in England and Wales No. 2570979. Registered Charity No. 1002017. V.A.T Registration No. 602 1185 91.